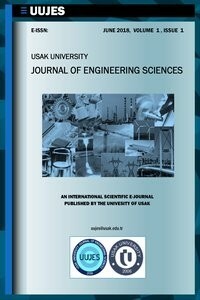 Usak University Journal of Engineering Sciences (UUJES) is an international open access peer-reviewed e-journal (e-ISSN: 2651-3447) aiming to publish qualitative papers within wide scope of principle and/or interdisciplinary engineering branches. Journal invites engineering researchers to submit manuscripts of their theoretical and experimental works. Well-arranged review papers are also welcomed. Peer-review processes will be completed as fast as possible. Published papers are now searched in Google Scholar by means of DergiPark. Besides, UUJES aims to be indexed by other prestigious scientific databases as soon as possible. The journal waits for contributions of international editorial board members who have considerable respect in their areas and contributions of authors who submit qualitative papers written in clear English. There is no charge applied to authors and readers.